RAC Foundation - 20mph zones – more haste, less speed? More haste, less speed is needed when it comes to implementing 20mph zones, according to Elizabeth Dainton, Research Development Manager from the Royal Automobile Club Foundation speaking at a one day conference at Aston University on speed management today (10). Ms Dainton will explain that more research is needed before 20mph zones are comprehensively rolled out across the country. She will also state that policy development should not speed ahead of understanding, local considerations and public acceptance. The Royal Automobile Club Foundation’s paper* to be presented at the conference finds that 95% of all pedestrian casualties and 92% of cyclist casualties are killed or injured on built up roads with speed limits under 40mph. Speed is not the only factor which leads to these accidents as driver behaviour, which includes speed, is a factor in 26% of all accidents, whereas failing to look is the biggest cause of collisions (68%). Ms Dainton therefore argues that driver training and education are as important as reducing speed when it comes to improving UK casualty figures. 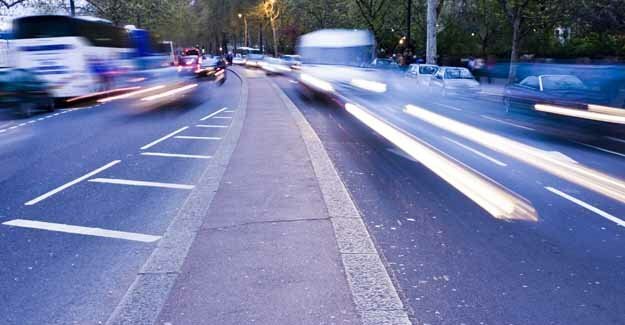 Ms Dainton will present the aims, objectives and history behind 20mph zones, whilst drawing on one of the most extensive studies on their effectiveness**, which found that average speeds fell by 9mph and annual accidents by 60% in select 20mph zones. Although casualty reductions for current 20mph zones are impressive, Ms Dainton will explain that there are limits to their overall use. * Enforcement: Traffic calming measures are needed if existing speeds are high. These are unpopular and expensive. Physical enforcement is the only option available due to low levels of traffic police and a lack of camera enforcing technology. * Public acceptability: Three quarters of the public support 20mph zones in residential areas, but no research is available to assess whether a more comprehensive network of zones would be welcomed. Physical traffic calming measures are disliked by 57% of the public. Camera enforcement is also a bone of contention for many, which is likely to make the eventual introduction of average speed cameras to enforce 20mph zones difficult. * Roads for movement are needed: 20mph zones may reduce casualties in certain circumstances, but the economic vitality of an area also needs to be considered. It is essential that local areas have ‘roads for movement’. A whole network of 20mph zones is not viable or desirable.